Pregnancy is such a special time!! You want to have a healthy pregnancy and a healthy baby, but how do you do it? With all of the work pressures, family pressures, scheduling pressures, relationship pressures, it gets really hard! Never mind the fact you feel like your body has been taken over by aliens and its hard to think straight! 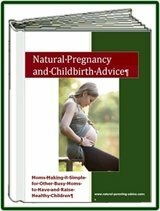 This Pregnancy e-Guide was written by other working women who have been there. Our mission is to help over 1 Million women have and raise healthy children! We have compiled all of the best information we have about having a healthy pregnancy into this e-guide. We would like to give it to you. That's right, for free. It is our present to you. Wishing you an amazing pregnancy!